PLEASANTON, Calif., Aug. 9, 2016 /PRNewswire/ -- Most Americans take dietary supplements, but they may find it difficult to identify the right supplements and the right lifestyle changes needed to meet their personal health goals. With the introduction of its new Healthprint digital health assessment tool, Shaklee is taking a huge leap toward providing customers with the knowledge they need to make better and more personalized choices at the price that is right for them along with personalized health and lifestyle information to help them reach their health goals. 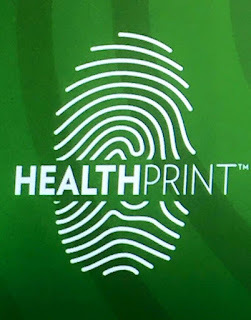 Healthprint was launched Thursday, August 4 during Shaklee Live 2016, an annual conference in Orlando attended by thousands of Shaklee distributors from throughout the world. Dr. Daggy points to the Shaklee Difference as further support behind this assessment tool. "Shaklee products are safe, proven and 100 percent guaranteed. If you're not feeling an improvement after 30 days, you can return the product no questions asked." Shaklee health and lifestyle blog, Naturally – Your Resource for a Healthier Life, is another important tool. "Your Healthprint assessment will connect you with articles specific to your concerns," says Lau. "But you're not limited to those articles. The blog contains a wealth of valuable information from recognized medical organizations, athletes and Shaklee experts. You'll find healthy recipes, product information and plenty of lifestyle tips." Each blog article is easily sharable on Facebook, Instagram and Twitter. Those interested in taking a Healthprint assessment can do so at: https://barefoot.myshaklee.com/us/en/healthprint. Access the new health and lifestyle blog, Naturally – Your Resource for a Healthier Life, by visiting http://go.shaklee.com/naturally/. Since its inception, the Pleasanton, California-based Shaklee Corporation has combined breakthrough scientific research with pure, safe, and proven ingredients to develop the world's most cutting-edge and life-enhancing health products. Founded by Dr. Forrest C. Shaklee, who developed the first multivitamin in the U.S. 100 years ago, the company has become a leading health and wellness company with a long history of pioneering advances in nutritional science, including Shaklee Life Plan. Shaklee Life Plan is the result of the foremost scientific research and decades of studies, designed to promote every aspect of your health. The Life Plan—with 35 patents/pending—combines a protein-rich meal shake and nutrients that are clinically proven to help provide the foundation for a longer, healthier life. * Shaklee has over 125 published studies, abstracts and presentations many of which are published in peer-reviewed journals that support our products, ingredients and perspective. Shaklee is one of the most well-established names in the nutritional supplement and direct selling industries with over 1.2 million members worldwide in Canada, Japan, China, Malaysia, Taiwan, Indonesia, Mexico and the U.S.
Certain CBD for anxiety and depression can affect your brain chemistry with dramatic consequences for mental health. Some scientifically proven advice on how to harness food to improve your mood is outlined in this article. The Sydney CBD commercial office market will be the prominent player in 2008. A rise in leasing hemp oil is likely to take place with businesses re-examining the selection of purchasing as the costs of borrowing drain the bottom line.